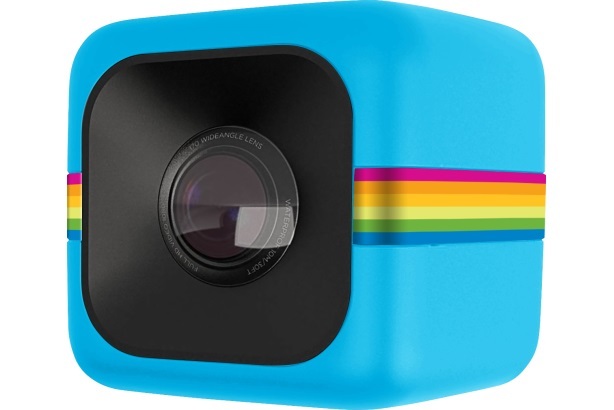 Polaroid launched its Cube action sports camera, a fun-looking little device built to appeal to the more casual user. GoPro put action cameras on the map with its high-definition, super-tough products that are popular with skydivers, kite boarders, ice climbers, and others of the adrenalin-rush ilk. Polaroid got in on the action with last fall’s launch of the Polaroid Cube, a fun-looking little device built to appeal to the more casual user. "We looked at the market for action sports cameras and knew we needed product that was different from GoPro," explains Polaroid’s CEO and president Scott Hardy. "The Polaroid Cube is a unique product that appeals to a broader market. We felt a PR campaign would be the most efficient and effective way to spend our marketing dollars to build product and category awareness among the broader demographic." R&J Public Relations, Polaroid’s AOR for PR, helped devise and execute the launch campaign. The team’s goal was to position the Cube as the "lifestyle action camera." Messaging driven through media and blogger relations and owned digital channels emphasized that the Cube embodies the core brand values of fun, ease of use, and accessibility. "The launch represented the confluence of three key assets," explains Scott Marioni, EVP at the agency. "First was the product itself, which is different and represents the core values of the brand. Scott Hardy is a fantastic spokesperson and can clearly articulate strategy and brand value. Finally, the launch timing was excellent because it came on the heels of GoPro’s IPO, so there was a lot of talk about that and the action sports camera market in general. The Cube represents a different approach, and we leveraged that to appeal to huge consumer demographic based on the product’s merits and value." A press release announcing that the Cube was available for pre-order on Polaroid.com was made on August 10. A video highlighting unique product features was posted the same day to Polaroid’s YouTube channel and embedded on the Cube-specific microsite (Polaroid.com/cube). Design firm Ammunition, which collaborated on the design of the Cube itself, created the video. An international media tour followed in which Hardy, other Polaroid executives, and local market distributors met with top-tier consumer, imaging, and tech media in Brazil, Germany, Mexico City, and London. Hardy also met with key business media in New York and London. Select journalists and bloggers were given Cubes to review under embargo until September 23. A press release announcing October 1 retail availability was issued on September 25. Throughout the campaign, the R&J team worked with Minneapolis agency The Thorburn Group to engage consumers on Facebook and Twitter. "All digital communication was designed to evoke an emotional response and personify the brand by amplifying Polaroid’s core values," Marioni notes. The first production run of Cubes sold out. "We sold out of everything we had built, and it was a very substantial build," Hardy adds. "We’re making Cubes as fast as possible. It’s outstanding. The launch was one of our most successful in terms of creating awareness of a new product and category." The pre-order announcement drove more than 247,000 visits to Polaroid.com between August 10 and 17 – up 125% over average weekly site visits during third quarter last year. The retail availability announcement drove 151,000 website visits between September 21 and 27 – up 37.8% over average weekly site visits during Q3. The video got 47,000 YouTube views on August 10 alone, and more than 162,000 total views by August 17. Views jumped to more than 330,000 ending September (as of early February 2015, it had 557,102 views). Hardy says it’s the most viewed video on Polaroid’s YouTube channel. One hundred nineteen earned placements garnered more than 250 million impressions. Outlets covering the story included Fox Business Network, USA Today, The New York Times, Wired, Handelsblatt, The Irish Times, and BBC. The team continues to field interview requests. Direct consumer engagement is a priority this year. "We want to encourage consumers to generate content that demonstrates the ways in which they’re using the Cube differently from other products on the market," Hardy says.